Paramount has released the Super Bowl spot for Noah online ahead of the Sunday ad extravaganza. The tagline that punctuates the clip is a bit silly—“Witness the untold story of the world’s most epic event”—but gets to the point of what I’m looking forward to in Noah: A darker version of a very familiar story that would naturally be horrific in the moment, told by Darren Aronofsky (Black Swan) in his biggest sandbox to date. The 35-second clip is packed with big moments, including a brief shot of celestial beings hurtling toward Earth. Russell Crowe, Jennifer Connelly, Ray Winstone, Emma Watson, Anthony Hopkins, and Logan Lerman star. 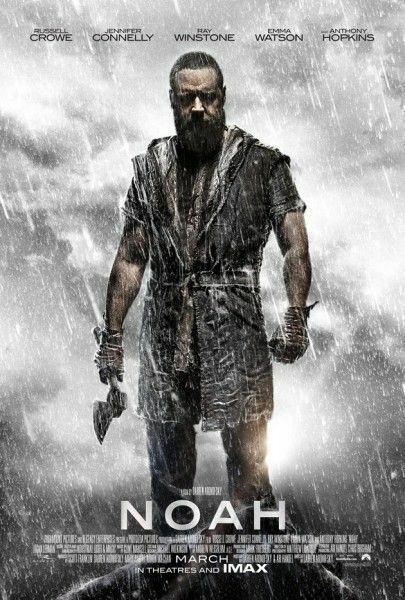 Noah opens March 28. Watch the spot after the break.